Extend your home Wi-Fi to hard-to-reach locations in your home such as your backyard, garage, or bedroom so you get AC1900+ Wi-Fi speeds to Smart TVs, Blu-ray Disc players, iPads, tablets, laptops and smartphones to enjoy streaming 4K / HD movies, simultaneous online gaming, social media, and more. The RE7000 has a slim, compact design: plug it into the bottom A/C outlet and you'll still have access to the outlet just above it. Next-Gen AC with MU-MIMO (Multi-User, Multiple-Input, Multiple-Output) technology ensures your Wi-Fi is delivered faster and with more efficient throughput to every MU-MIMO connected device. This means your whole household can surf the Internet, stream 4K and HD movies, play online games, and more simultaneously--without annoying buffering or lag. The AC1900+ Range Extender offers Seamless Roaming as you move around your home when linked with a Max-Stream Wi-Fi router. With Seamless Roaming, your enabled wireless devices will automatically switch to the strongest Wi-Fi signal, so you won't have to manually connect to the router or range extender when you move from one room to another--or even to your backyard. ** This means that you can move freely throughout your home while video chatting or streaming videos without experiencing dropped calls or buffering. Pair a Max-Stream router such as the EA9500 with the Max-Stream range extender for more efficient home Wi-Fi that delivers stronger, more powerful Wi-Fi signal to all your devices. This range extender is compatible with any Wi-Fi router, including those from Internet service providers. There's no need to adjust your router's settings when installing the extender. Simply press the Push Button Connect feature on the MAX-STREAM AC1900+ to automatically sync it to your router. Simple setup from a smartphone, tablet, or laptop. 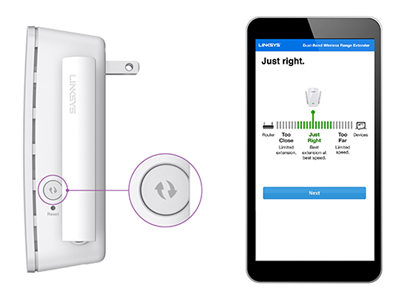 Find the optimal location for the range extender using Spot Finder Technology. If placed too far from an existing router, a range extender may not expand Wi-Fi or Wi-Fi may be spotty. 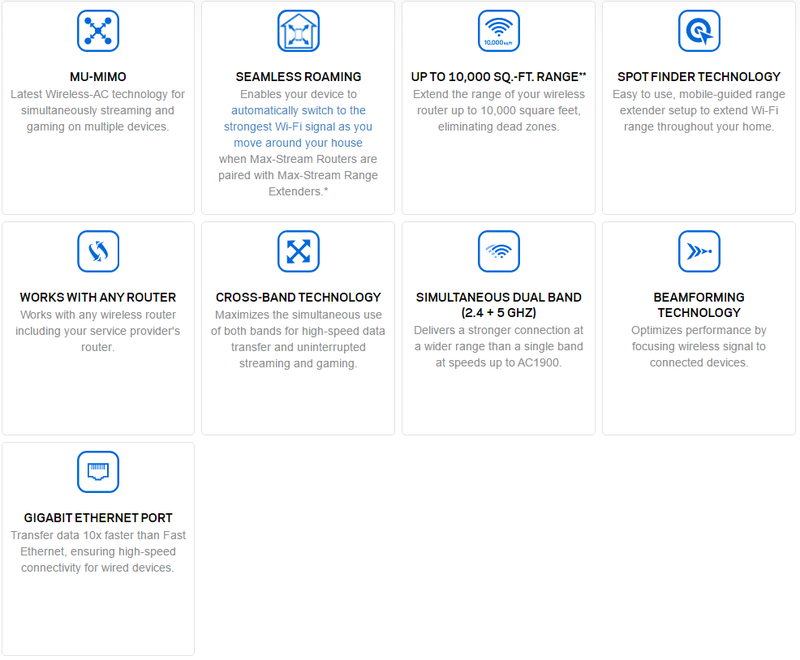 Spot Finder helps ensure your Linksys range extender is in the right spot. Connect a game console, Blu-ray player, or Smart TV to the AC1900's Gigabit Ethernet port to enjoy Wi-Fi up to 10 times faster than Fast Ethernet. 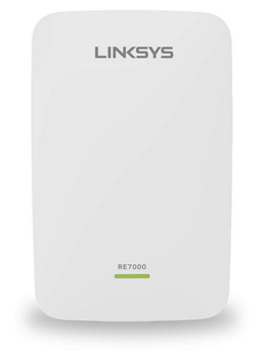 The range extender offers dual wireless bands of 2.4 GHz and 5 GHz for combined speeds of up to 1.9 Gbps--double the performance of single band. Newer wireless-AC devices are routed to the higher-speed 5 GHz band, while older wireless-N and G devices utilize the 2.4 GHz band. You can configure the RE7000 range extender to act as an AC access point to extend your home Wi-Fi and reduce dead zones. 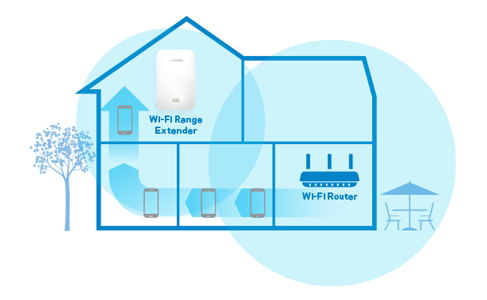 Access Point Mode allows you to add Wi-Fi capabilities to your existing home wired network. 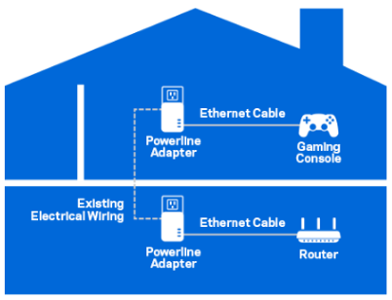 Simply connect the AC1900+ range extender using a Gigabit Ethernet cable to your router or other wired Internet adapter, and place the RE7000 where you need a Wi-Fi boost. Minimum System Requirements Latest versions of Google Chrome™, Firefox®, Safari® (for Mac® or iPad®), or Internet Explorer versions 8 or newer.